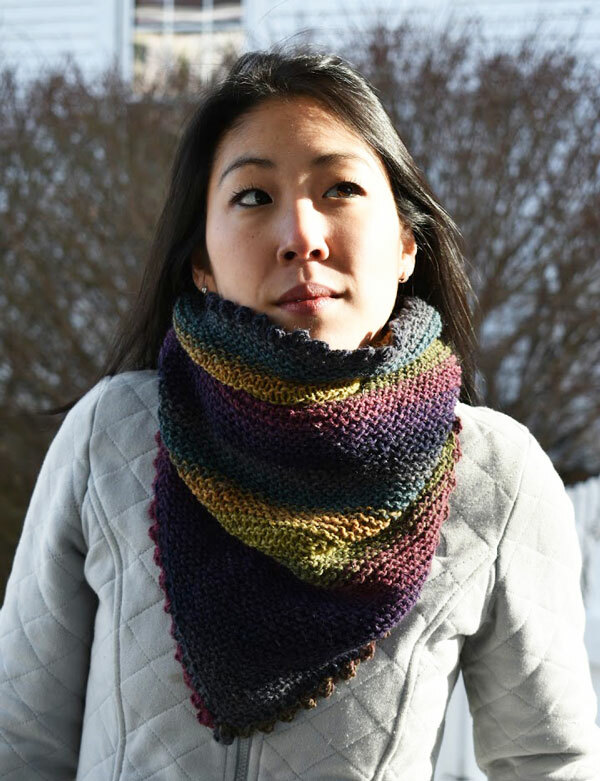 The Ilsa is a one of a kind multicolor kerchief-style scarf, It's knit with a blend of wool, silk, and mohair. Luxury much? Made in a smoke-free, cat-friendly house. If you will need to launder this cowl, please hand-wash gently in cool water and lay flat to dry. $45.00 with free shipping in US only. No international shipping.